This image looks fun and awful at the same time. As I found out a couple of years into my studies, there’s a lot of tedious work connected to particle physics. In case you were wondering, I chose that particular example because I thought it’d be better than being down-right strange at the bottom. 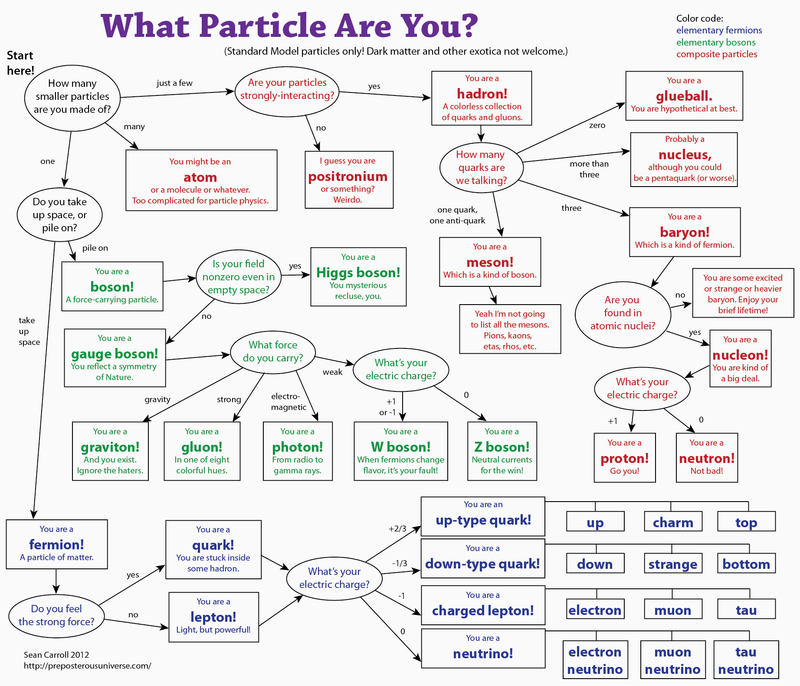 There are many ways to categorize particles, and indeed, particle physicists seemingly delight in discussing those categories. I don’t. You can read up on them for yourself or listen to those guys. See, as I progressed through university, undisturbed by the naysayers, there were so many things that were just so weird that they started tickling my fancy. I mean, you know what I mean, right? For example, you’ve probably heard about “empty atoms” before. But even though we’re, factually, mostly empty space, nobody can look through us. What’s more, we touch things all the time. 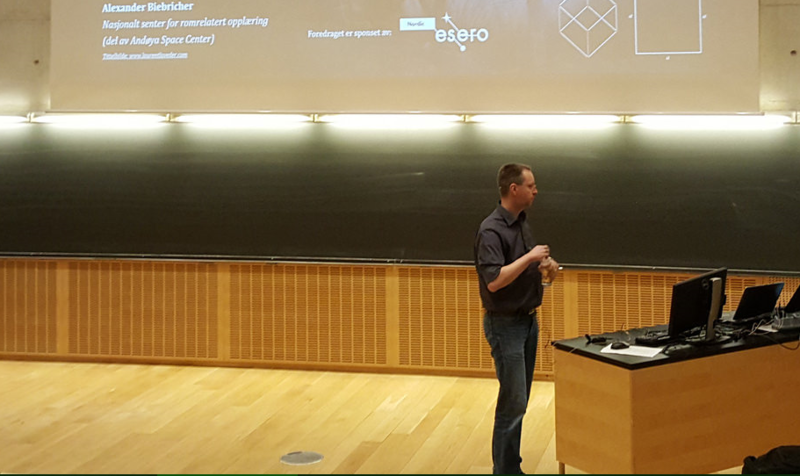 “Quantum reflection” makes it possible. Have you clicked through and read up on what image forces are? They are, quite literally, what you feel. They are tangible. When I sat there one night reading until the morning dawned, I was happy. Past my bachelor degree even, there had been an underlying feeling of dread. I thought that I might have screwed up again. Not after this night. After this night, I knew I was going to be a physicist. Honestly, how I could not want to? If empty matter isn’t enough for you, just think about what is called the “double-slit experiment”. Childish innuendo in that name aside, this is a manifestation of about the most weirdly awesome piece of reality in existence. Depending on how you set it up, particles moving through a wall with slits in can behave either as wave or as a little ball of sorts or, get this, both and/or neither. Talk about screwing with people’s minds! This means simply that we become somewhat helpless when confronted with the microscopic world. Imagination surrenders – and yet, as it turns out, we can find out so much. Particle physics is about the twelve particles of matter, four forces of nature, and the Higgs boson. These explain the whole world, as we know it. Well, they don’t, and I knew they didn’t, but what occupied my mind mostly was how humongously unintuitive all of it was. Just take the word “particle” as in “particle physics”. It describes one thing in the real world. You know, the kind of thing that you hoover up. In physics, a particle is determined by its wave function which, when taken to the square, gives us a probability density. A square without a wave function being taken there. Gee, thanks for the inspiration, right? Well, at least temporarily, it’s exactly what you’re supposed to do. Build up experience and take it from there to deeper understanding. Programming works like that, too. I did the maths for a while. It did become interesting! With training comes knowledge. With knowledge comes awesomeness. We can build x-ray machines, smartphone screens and whatnot with the help of particle physics after all! You knew that, probably. Here, I can take the nerd-factor up a notch. The most advanced quantum theory with experiments backing it up at this point in time is QED. I’m not even kidding. Quantum Electrodynamics combines quantum mechanics with special relativity — if that sentence didn’t make sense to you, think “Parts of Einstein made weirder”. Hope that helps. As you would suspect, you can represent QED by means of stick figures. If you don’t use stick figures then this, The one equation to rule them all, is what you have to deal with. Come on, click on that link, I dare you. Modern physics in one sentence: Mighty stick figures, I sacrifice at your altar, or something.